We're a cosplay group based in South Texas. We are separate cosplayers but with our powers combined, we form cosPOPproductions! Hey guys! We're back from San Japan! Hope you all had as much fun as we did! 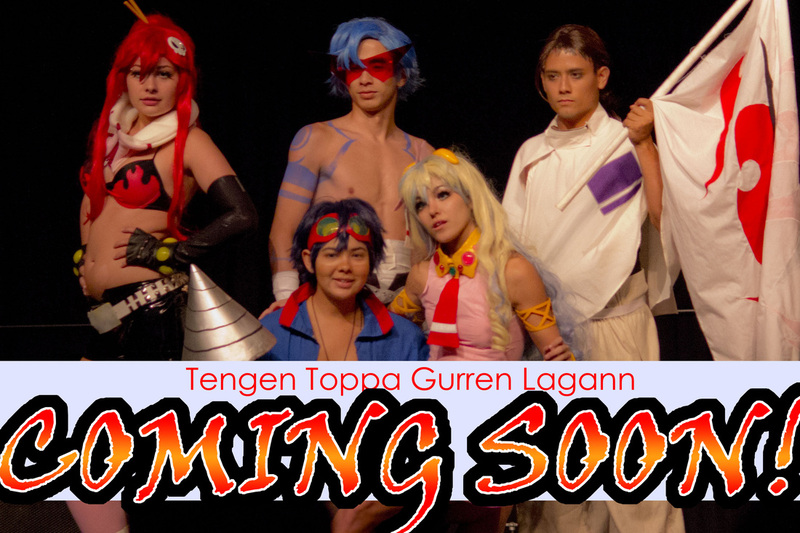 Our Tengen Toppa Gurren Lagann group won their first major award at this convention! Read about it on our Convention page. We're very excited for our group. There were soo many amazing cosplayers at the convention! Not to mention Ian's crossplaying shinanigans! He actually made a pretty cute girl (not gonna lie). Haha! I've done some website tweeking! go check out our About page, our Cosplay page, our Conventions page and our Blog page! There are new things for you guys to see! Why do we cosplay?Well why does anyone cosplay at that? Cosplaying is a hobby that eats up a lot of your allowance and makes you look ridiculous once it's finally put together after grueling weeks of forcing things to stick together. So again, why? Because we like it. We are people who enjoy our anime, manga, video games, comics, and--whatever! We like to represent our admiration when we start creating and crafting, waking for working, sitting and sewing, spraying and painting, wanting to wear, hair spraying hair, and finally zipping up the costume entering the convention and being asked for a photo. Many say it's for attention, part of that is a yes, but the other half is expressing creative ability and interpretation of a beloved character of your choice and letting people see how you see that certain character.